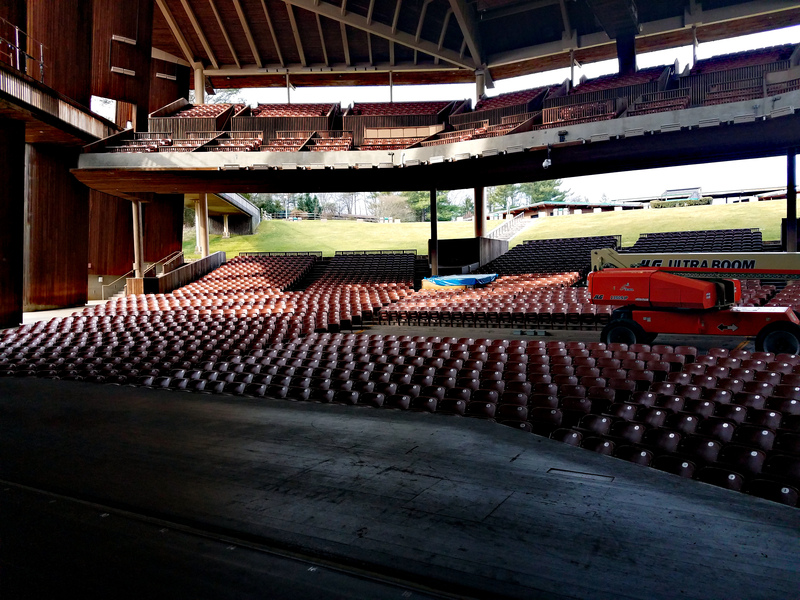 The Filene Center at the Wolf Trap National Park for the Performing Arts (WOTR) in Vienna, Virginia was constructed in 1971. In 1982 a fire completely destroyed the wood amphitheater. The nation rallied to rebuild, with support from all 50 states ranging from the President to school children. Today, audiences enjoy 80 performances throughout the summer. The venue seats 7,000 people between the covered and lawn seats. While the building has an emergency generator, the electrical system does not currently transfer the stage lights and power to the generator. So when summer storms roll through and knock out power, the performance is over. 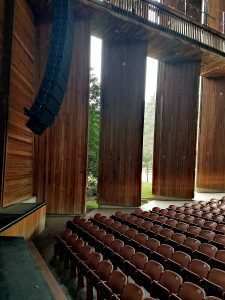 This project is especially interesting to me because of the complexity of the concert venue’s electrical system and the historical and cultural value of the Filene Center. The existing switchgear is original to the 1984 reconstruction and has reached the end of its useful life. The switchgear utilizes bottom feed conduits encased in concrete. Since the downstream transformers and panelboards are not being replaced at this time, we are reusing the conduits and conductors to reconnect to the new distribution switchgear. The challenge lies in coordinating the new switchgear dimensions with the existing, concrete encased, stub-up conduits. We reached out to a number of manufacturers to coordinate the dimensions of the new gear with our design. The design also includes the transfer of existing normal power panelboards to the emergency generator feed. With the selected loads on the emergency power feed, the venue will be able to continue concerts and shows in a limited fashion in the event of a power failure. Knowing that Summer Consultants had a part in improving the Filene Center’s reliability is truly rewarding.